JFileUpload Pure HTML is an HTML5 alternative to Java JFileUpload. It includes similar features. 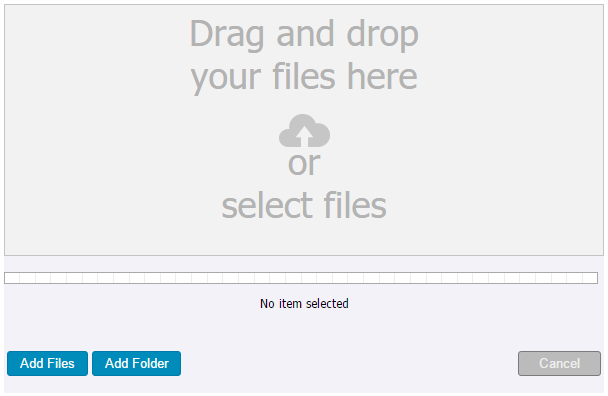 End-user can select many files and folders with subfolders from a file chooser or through drag and drop. Broken upload can be resumed, large uploads are support and automatic retry on network failure is enabled. Automatic retry on transfer failure. Multiple files and folders (recursive) upload. Select file(s)/folder and cancel buttons. Upload real-time progress bar with transfer info. Customizable UI (Texts, columns, alignment, colors, buttons). See online documentation for JFileUpload Pure HTML installation and examples. It includes parameters for configuration. FAQ is also available. You can try JFileUpload Pure HTML here. It allows to upload files, folders and subfolders. It overwrite prompt.